Dr. Deutsch performs cosmetic breast procedures in Atlanta, specifically breast augmentations and breast lifts. 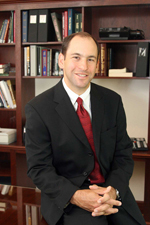 A graduate of the University of South Florida Medical School, Dr. Deutsch completed his residency in general surgery at Louisiana State University Medical Center/Charity Hospital in New Orleans; his fellowship in plastic surgery at Albert Einstein College of Medicine/Montefiore Medical Center in Bronx, New York; and a fellowship in micro vascular surgery at M.D. Anderson Cancer Center in Houston, Texas. He is a member of the American Society of Plastic and Reconstructive Surgery, The American College of Surgeons, and the Aesthetic Society of Plastic Surgery. He also enjoys traveling to South America annually to perform volunteer surgery. Dr. Mark F. Deutsch, is a board certified plastic surgeon in Atlanta who in addition to breast implants performs a wide variety of operations. You can find Dr. Mark F. Deutsch's before and after photos of cosmetic surgery procedures, including breast implants, at the Perimeter Plastic Surgery website. Dr. Mark F. Deutsch is also a plastic surgeon specialist in all forms of breast surgery procedures including breast reconstruction, tummy tucks, breast lifts, breast enhancement, breast reduction and male Gynecomastia. He is board certified in Plastic Surgery and Reconstructive Surgery.